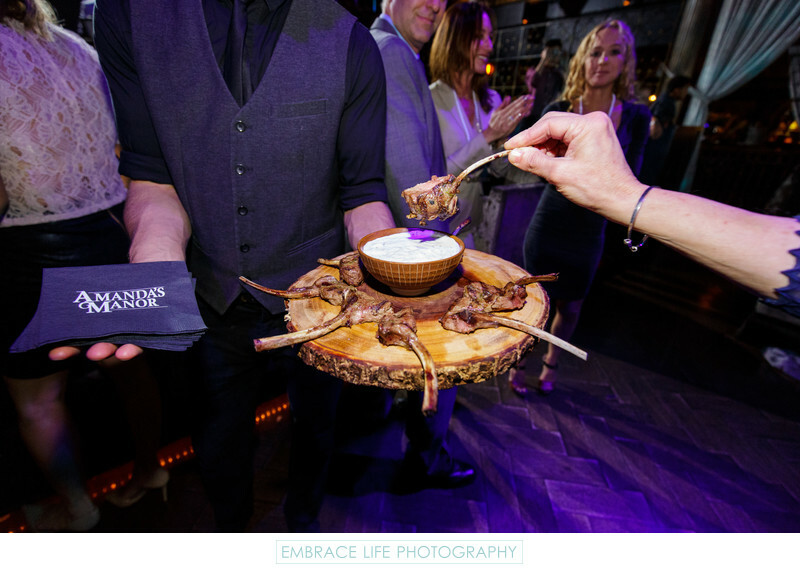 At this stylish Los Angeles bat mitzvah reception, delicious lamb chop appetizers were served on rustic tree cross-section serving boards. Custom printed cocktail napkins personalized with the bat mitzvah's name, playing off of the venue, Greystone Manor's name, were also passed by the well-dressed wait staff. L.A. event photographers, Embrace Life Photography, capture every detail of events they photograph. Keywords: Details (1125), Event Photography (384), Food and Drink (150), Mitzvah (78).